Another day, another record it seems. 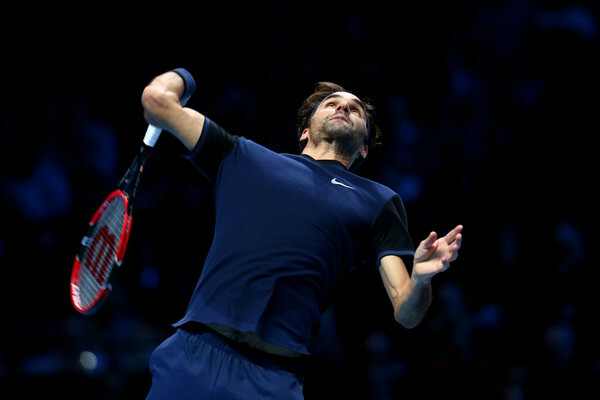 Roger Federer became the first man in history to reach 10 finals at the year-end ATP World Tour Finals. 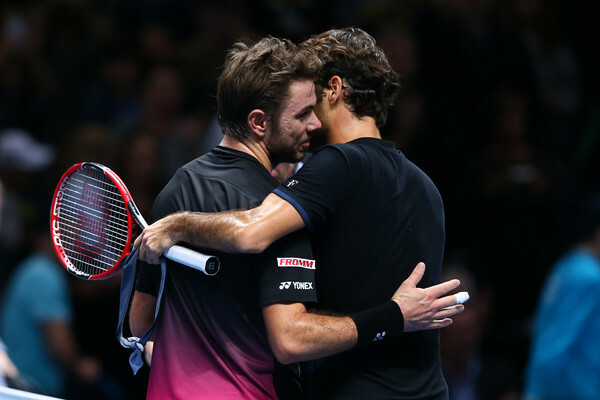 The 17-time grand slam champion defeated fellow Swiss, world #4 Stan Wawrinka, 7-5 6-3 Saturday evening at the O2 Arena in London. Despite being broken early in the first set, the 6-time champion broke back quickly, and then applied the pressure in a pivotal twelfth game to break again and take the first set. It was a rematch of a intense and physical battle from a year ago in the same semifinal stage, but this time, Federer swept to a 3-0 lead early in the second set to ensure no such repeat. By that point, the 34-year-old Swiss had approached the net well over 20 occasions. Frequently deploying serve and volley tactics, Federer was extremely efficient, hitting 30 winners in his 1 hour 10 minute victory. He won 24 of 32 points at net, and converted 3 of 6 break point opportunities. Federer will face Novak Djokovic in Sunday’s final (6pm London/1pm EST/10am PST). The Swiss defeated the Serb, 7-5 6-2 earlier this week in Group Stan Smith play.